Need a Custom Metal Filter or Strainer? 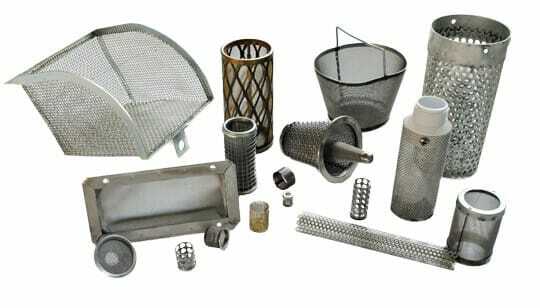 Yankee Wire Cloth Products has extensive capabilities and manufactures an array of custom parts in all sizes and configurations, including metal filters, metal strainers, metal screens and perforated strainers and filters. Fill out the form or fax your RFQ to (740) 545-6323 and we’ll get back to you promptly. Every request is our priority, whether it is for small, specialized jobs or large volume OEM quantities. For accuracy, please share as much detail as possible either in a drawing file or the comments, such as dimensions, tolerances, types of materials, mesh count or perforation pattern. Yankee Wire Cloth Products has thrived since 1963 thanks to our dedication to quality and value. We have earned customers’ trust with a transparent approach that emphasizes delivering on our promises. Read our quality statement here.